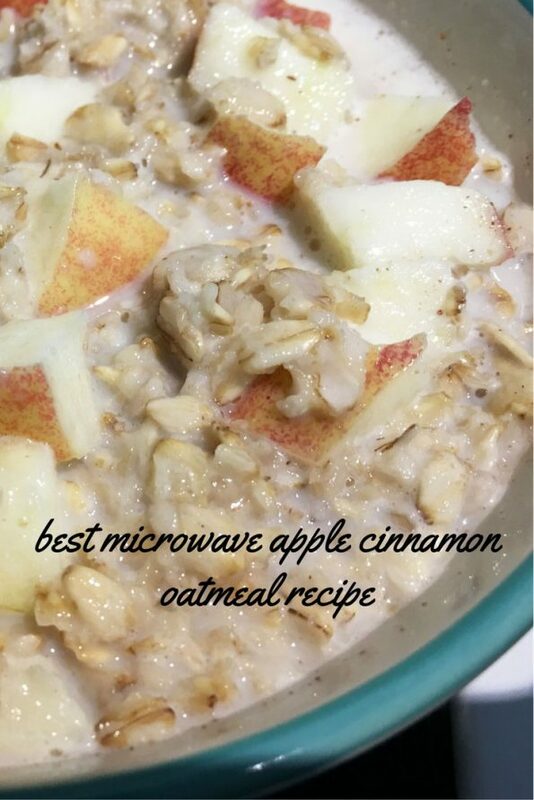 Here is the best microwave oatmeal recipe using rolled steel cut oats with cinnamon and apple. This is also my best homemade cinnamon apple oatmeal recipe in microwave. You can make this quickly in microwave, and it is delicious and full of flavor from apple and cinnamon powder. The use of rolled steel cut oats make this chewy as well which is a bonus, but you can also use regular quick cooking oats if that is what your preference is. 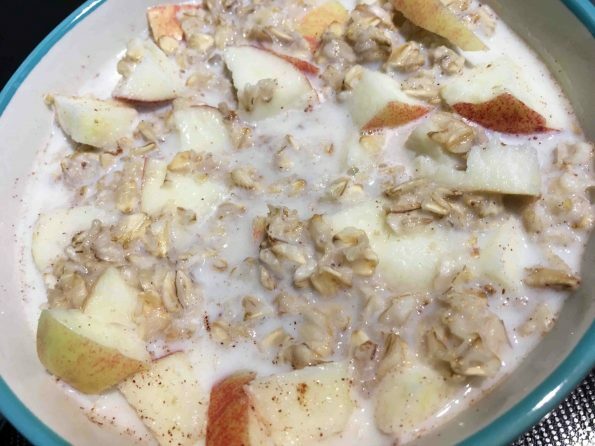 I have used pure fresh maple syrup for sweetening this homemade cinnamon apple oatmeal recipe, you can use white sugar or your favorite natural sweeteners like raw honey or stevia or whatever you like. 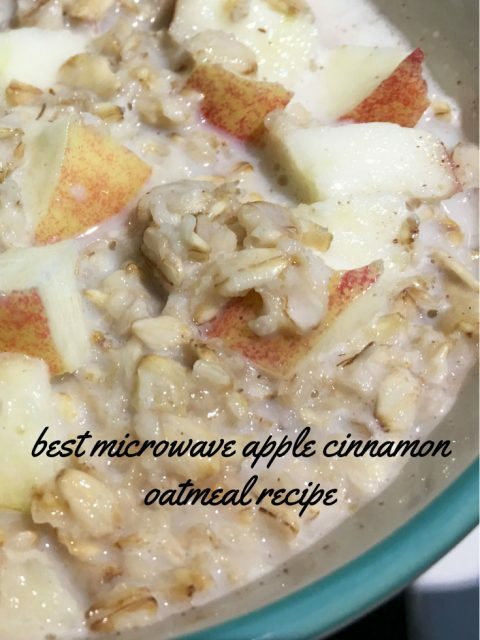 Let us see the best microwave oatmeal recipe or homemade cinnamon apple oatmeal recipe in microwave. 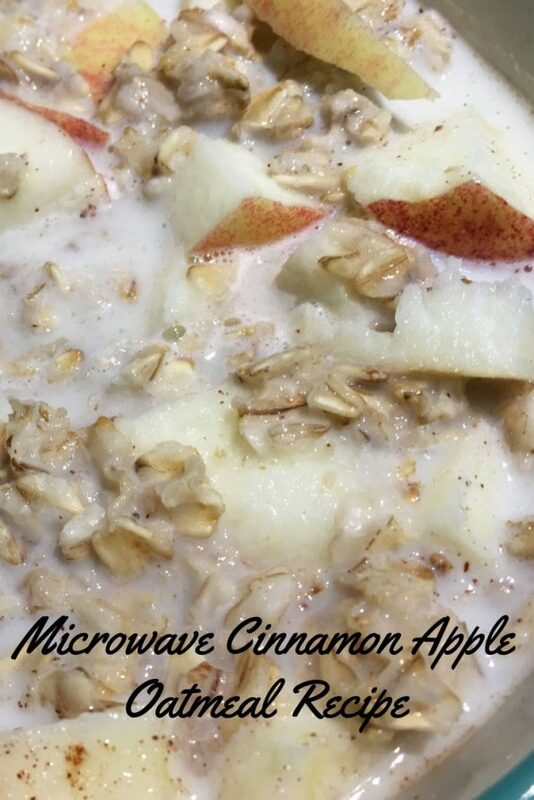 Homemade cinnamon apple oatmeal is delicious and makes a quick, easy breakfast you can prepare using microwave. Add the oats to a microwave safe bowl which is large enough to hold all ingredients. I make sure that when I add the oats it is only filling up to half of the bowl, which helps prevents spilling and boiling over so we can cook easily in microwave without boiling over. Add the water and maple syrup to the oats, microwave in high for 1 minute. After 1 minute, mix the ingredients gently using a spoon and microwave for another 1 minute. Now let us give a cooling time of about 1 to 2 minutes for the oats before heating again. Meanwhile you can add the milk and mix everything well. Now add the chopped apple pieces and cinnamon powder as well, and gently mix them with the oatmeal. Heat in the microwave for another 30 seconds so everything will warm up nicely. Oatmeal cooked in microwave tends to be really hot as soon as you take it out. So let us give some time to cool off the dish. This will take around 2 to 3 minutes. Serve the warm and delicious homemade cinnamon apple oatmeal for breakfast or snack. Notes: Homemade cinnamon apple oatmeal recipe made in microwave is delicious and full of flavor. You can top up the dish with nuts of your choice, raisins etc.